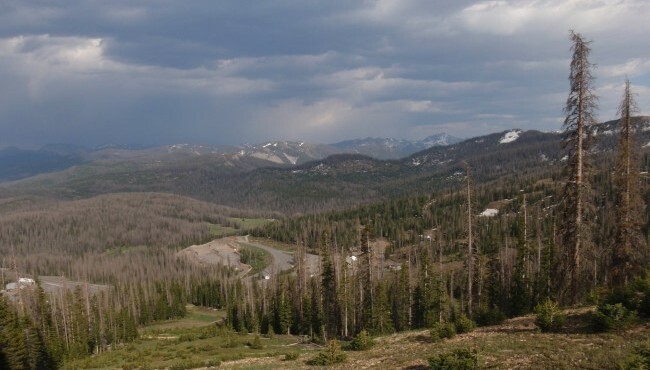 When will the fight over Wolf Creek Pass end? This past weekend, The Durango Herald broke a story about document destruction, collusion and continued avoidance of public transparency requirements that plague the latest iteration of the slow-moving train wreck otherwise known as the proposed Village at Wolf Creek. Public comment on the continued controversy has vacillated between righteous indignation and “why am I not surprised to hear that?” Personally, I travel the space between those two polls in any given minute. To understand this never-ending saga, let me introduce you to a rock and a hard place. The rock: It is highly unlikely that an Environmental Impact Statement would ever deem an 8,000-person development high on the continental divide – a development that would sit in the middle of a key wildlife migration corridor, critical lynx habitat and adjacent to rare fen wetlands – in the public interest. This likelihood is further reduced when one considers regional public opinion, which is overwhelming against the development. The hard place: One of the richest men in American wants to build said 8,000-person development. Lots of parties are caught between this proverbial rock and wealthy hard place, none perhaps as painfully as the U.S. Forest Service. Folks I speak with have wildly different takes on the culpability of Forest Service employees in this protracted battle. To some, these employees are hapless victims to the ways big money buys political influence. While being bold in the face of political pressure would indeed be a virtue to ascribe to, maintaining a job and the prospect of a healthy federal pension is surely a powerful motivator to keep with the party line. To others, the perceived weakness of the men and women tasked with managing our public lands is worse than the self-interested – but nevertheless consistent – machinations of Wolf Creek’s would-be developer. We live in a country whose founders understood the foibles inherent in human nature and worked to construct a system of governance replete with checks and balances sufficient to reduce, though surely not eliminate, our individual and collective transgressions. San Juan Citizens Alliance, our partners and our lawyers will ensure that any and all parties breaking the letter and intent of the law regarding development on Wolf Creek Pass are held accountable. If rank and file Forest Service employees are caught up in that morass of legal wrangling, perhaps they’ll be inviting their superiors who fostered a culture blatantly hostile to public transparency to stand by their side on judgment day. In the meantime, as a community, we have an even bigger problem: the rock and the hard place; the land and the developer’s dream. If I knew a way to resolve this foundational problem, I would share it. But I don’t. You see, the seed from which this conflict has grown was planted in 1986. We are the unfortunate inheritors of a conflict sown by the bad decisions of our predecessors. All we have known is the fight, and we’ve grown good at it. But living to fight another day does not secure permanent protection for Wolf Creek Pass, nor does it create a legacy befitting the great Texas dealmaker, Red McCombs. Upcoming legal cases are essential to the protection of Wolf Creek, but our hoped-for wins may not be sufficient to resolve what is now a 30-year standoff between a place, its protectors and a developer. That resolution is one we will continue to search for, as that is the only resolution that Wolf Creek deserves.